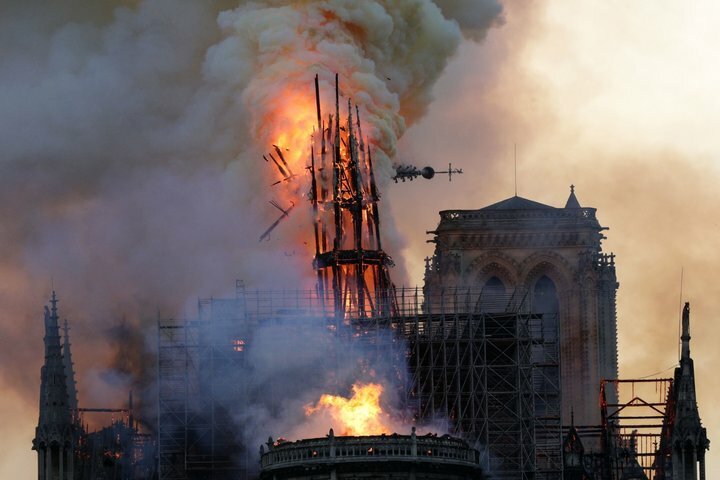 A “significant fire” broke out at the iconic Notre Dame Cathedral in the central of Paris at 7 pm local time, according to the national French police. French fire services said they are “not sure” if the fire can be stopped, according to AFP. Both the spire and roof of the cathedral have now collapsed. ﻿ NBC journalist reported that “gargoyles are falling off the roof”. No injuries have been reported at this stage, according to French Interior Minister. Police advised people to avoid the area in a tweet and requested that they facilitate the passage of emergency and vehicles. 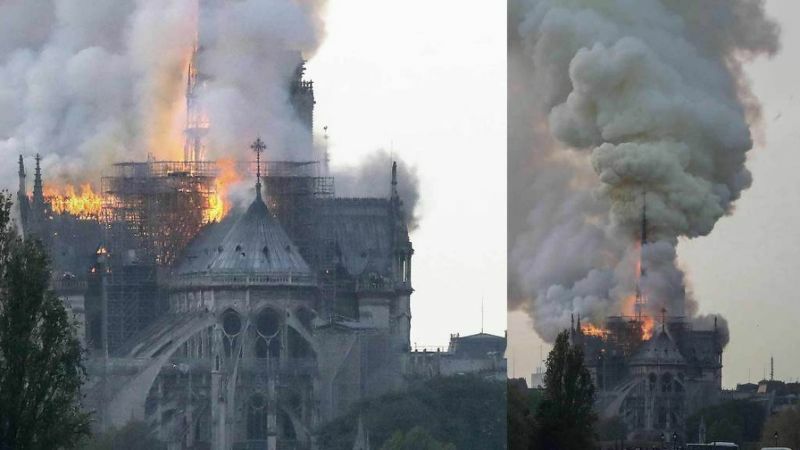 16 copper statues escaped the blaze as they were removed from the cathedral’s roof for restoration work “The roof has entire collapsed, there are flames coming out of the cathedral as if it were a torch. It looks like the Olympic torch from the back with flames coming through the roof,” France 24 journalist Charli James reported live on air. The 90 meter — 295 foot — spire soon after collapsed onto the roof.